Expert local fitting service is included with all purchases! Made for iPhone (0) ? Made For Any Phone (0) ? Naída BR are Phonak’s premium high-power hearing aids with built-in rechargeable batteries, dedicated to severe to profound hearing loss. They come with an easy-to-use charging case, and an optional Power Pack for charging on the go or Mini Charger are also available. With 40% greater capacity than other battery types and full charge time of just three hours, these hearing aids will keep going all day long. That’s saying a lot, because advanced features and powerful amplification both take additional power. Naída hearing aids typically operate 24 hours, including up to 80 minutes of audio streaming, on a single charge. That’s about as long as rechargeable batteries last in other hearing aids designed for lower levels of hearing loss. 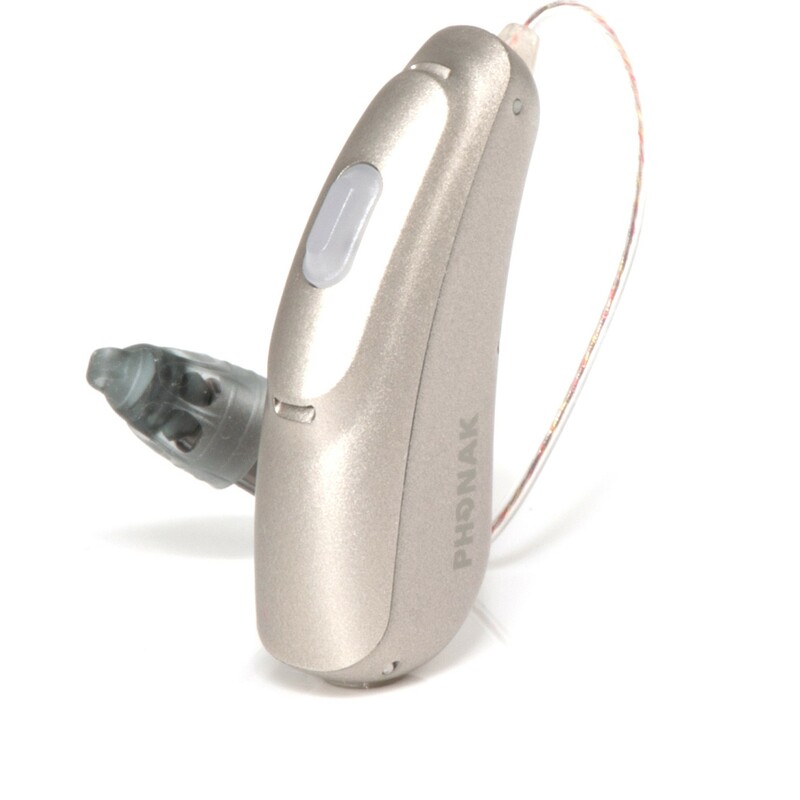 Naída B-R rechargeable hearing aids come as an RIC style, in three performance levels. All are compatible with Phonak’s Roger wireless accessories. Based on 260 User Reviews, our TrustPilot ratings are 5 out of 5!